Robin Holmes joined the University of Oregon nearly 25 years ago as a clinical psychologist and has served for the last nine years as vice president for student life. She is widely credited for the world-class experience that UO students enjoy today. 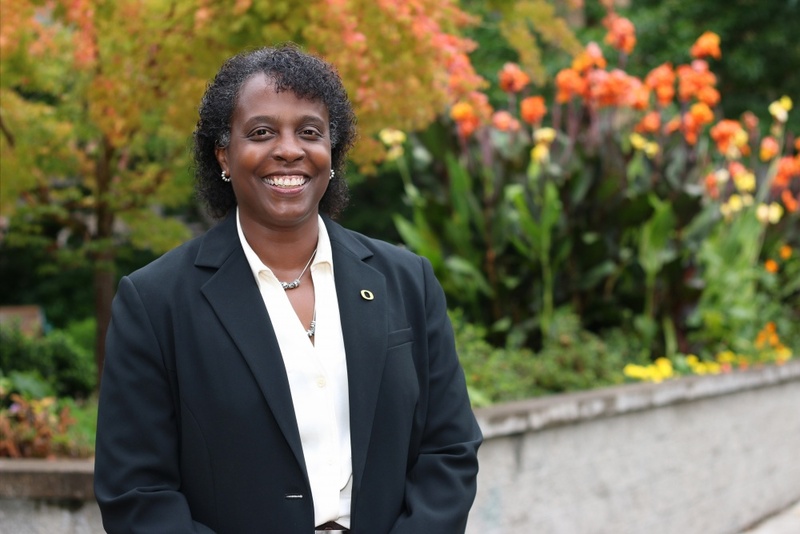 On Oct. 18, she will step away from the UO to become vice president for student affairs with the University of California system, in the Oakland office of the UC president. “The UO’s exceptional student experience, one of the finest in the country, has been shaped and polished by our Vice President for Student Life Robin Holmes,” said Michael H. Schill, UO president and professor of law. “Robin leaves a legacy of student-focused service at the UO. She is an inspiring and visionary leader who will be greatly missed. “I am very grateful to have served you and our students,” Holmes said. “From the time I arrived in 1992 as a brand new psychologist working in the Counseling and Testing Center, I have had nothing but great colleagues and together we have accomplished so much. Holmes provided more information in a statement on the Division of Student Life website. Also see the president's statement. Schill and Holmes will spend some time determining the transition to interim leadership, with an announcement anticipated in the near future.